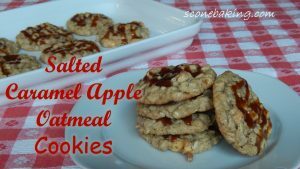 Dried apples are a great addition to oatmeal cookies, but drizzling a salted caramel sauce on top, puts this cookie in the “oh-my-goodness that’s delicious” category. The salted caramel sauce is quick and easy to make, and so are the cookies. Here is the video demonstration for the cookies. 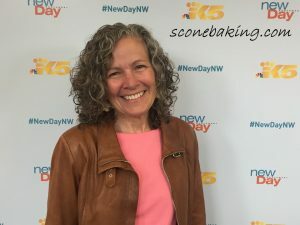 You can find a video demonstration for the Salted Caramel Sauce on this website, or at Scone Baking and Beyond YouTube channel.